Temperature is rising, let's get ready for Summer! I've got a great recipe for you today! I've been using this recipe every time I make this ice cream. It is the family favourite! This recipe makes about 2 quartz. 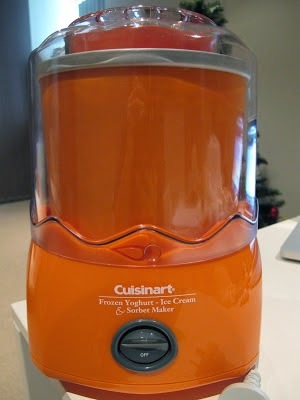 The ice cream machine that I'm using is a Cuisinart Ice Cream Maker 1.5quartz. 1 - a) Put nuts in a dry frying pan until the aroma wafts upwards and the nuts are golden-brown. Keep shaking the pan so that they don't burn on one side and stay too pallid on the other. b) In the oven for about 15 minutes at 180degrees C. Toss/stir occasionally so that it doesn't burn. Roast until the aroma wafts upwards and the nuts are golden-brownTransfer to a plate and let cool. 2 - Put eggs and sugar in a bowl over a double boiler. Whisk continuously until the sugar dissolves and the mixture comes to a ribbon stage or holds a figure of '8'. Here is how (watch 0:00-0:08). 3 - Pour thickened cream and milk into the bowl and mix. The quicker you cool the mixture down the smoother the ice cream will be. Best to have the cream and milk combined together sitting in the freezer. 4 - Cling wrap mixture and keep in freezer until very chilled. Preferably overnight. 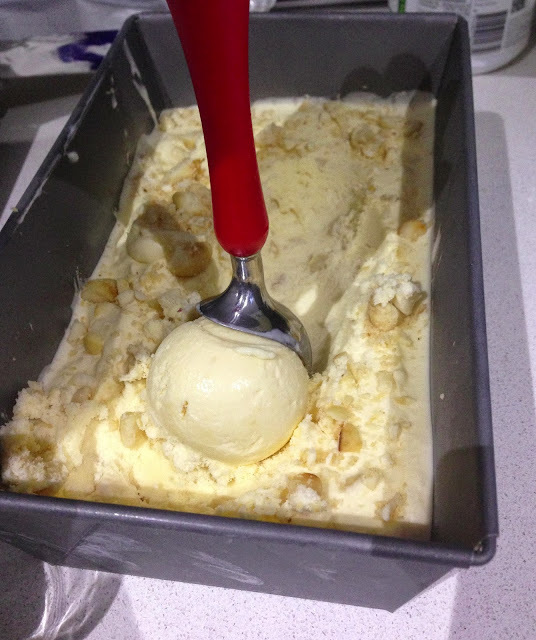 (make sure the nuts are cool before adding), let it churn for another 5 minutes or so. 6 - Transfer to a container, cover and keep in freezer. Ice cream should be ready to eat after 6 hours or so. I usually have mine the next day. Ice cream can be kept for about 5 days in the freezer. * to get that smooth creamy consistency, is to make sure that your liquid is made out of 70% cream and 30% milk. This is because domestic ice cream makers are slow churners compared to commercial ones, thanks to Peter Gilmore's tips. Want to know more about Ice creams? Did you know there are 9 different types of ice creams? Maureen: you're most welcome! tell me how it goes! :) your idea sounds AHMAZING! Cookbook review: Salad Love & Giveaway!